It’s no secret that social media has had an impact on today’s marketing landscape, causing all of us to embrace this “new” way of marketing or risk being left in the past. Glacier Country Tourism was an early adopter of social media in Montana. As one of the first DMOs in Montana to utilize social media for marketing outreach, we launched our social channels in the summer of 2009. With our consumer channels firmly established, we knew it was time to grow our program and utilize social media to reach the business-to-business markets that we work with on a regular basis, including tour operators and travel agents and haven’t looked back since. 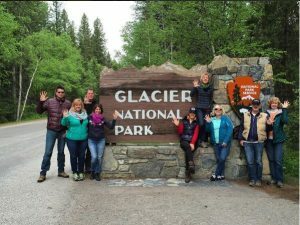 A group of international tour operators on a FAM tour in Montana. 1. Social media provides a direct connection between you (and your products) and the consumer. Fact: your target audience is using social media, many of them on a daily basis. One in five minutes spent online is on social media, providing you more opportunities than ever to connect with your customers. Additionally, it allows you to create genuine relationships and a place for conversations between you and your already-existing clients (as well as prospective clientele). 2. You can establish yourself as an expert. People want to work with the best in the business or industry. Social media provides you the opportunity to showcase your expertise on specific tours, regions, seasons and style of group or FIT tours. Basically, it allows you another forum in which to showcase your expertise, whether it be the Real America region (Montana, North Dakota, South Dakota and Wyoming) or the sandy beaches of Florida. 3. Social media makes you human. Okay, we already know that you’re human, but utilizing social allows your target market to get to know the people behind your company. There are so many possibilities here, whether it be doing an employee spotlight on a weekly basis, doing an instagram story as one of your product managers explores Montana or showcasing what makes your company special. And remember, humans do business with humans. Be human, always. 4. It can contribute to your bottom line. When done appropriately, social media channels can help increase sales. Think about it like this: social media provides inspiration on where to travel, when to travel and what to do. You can tell the story of the destinations and products you represent, while also showcasing your expertise on that region and inspiring travelers to book a trip to that destination with you. 5. Social media can (and should) support your offline marketing efforts. Social media should not exist in a silo by itself. Instead, it should support your traditional marketing efforts. Put it to work and integrate it with your traditional marketing, including print ads, events, catalogs, tariffs, brochures, maps, newsletters and trade shows. 6. You become a storyteller and news source. With various platforms available to tour operators (facebook, twitter and instagram for businesses-to-consumer marketing), you have tremendous opportunities to tell your story and the story of the destinations, tours and offerings you represent. Think of social media channels as a platform for spreading the good word; they’re a place that allows you to highlight tour offerings, announce new tours and showcase your expert knowledge. 7. You don’t have to tell your story alone. After you’ve booked a trip or tour for a client, encourage them to share their on-the-ground experience on their social media channels. Ask them to tag you or use a destination’s hashtag or handle when sharing content. Or, if it’s a group tour, create a specific hashtag and ask group tour attendees to share their experiences in real time. This turns your clients into phenomenal ambassadors, while creating exposure for the types of products you offer. -You can’t wait any longer to add social media to your marketing plan. You need to start now. -Start small and be selective. You don’t have to be on every social media channel. Pick the most important channel for reaching your market and begin there. -Have a plan. Outline your goals and create content that helps you reach your primary and secondary goals. -Utilize hashtags to reach your audience. -Share good content. Be sure the images you’re sharing are strong and match your brand style and messaging. -Have questions about how to effectively use social media? Our own social media coordinator @406_Nicole can help. Your turn: what other must-do tips and benefits have you seen with using social media? This entry was posted in Tour Operators and tagged FIT, Group Tours, Social Media, Tour Operators on November 11, 2016 by Tia. Truth time: social media has changed today’s marketing landscape. Instead of doing what we’ve always done, we’ve all had to find ways to be more creative, to deliver real-time information that’s helpful and to help spread the word about what it is we do, whether that be a DMO marketer (like Western Montana’s Glacier Country) or a tour operator who sells the United States to international and domestic clients. A red bus tour on the Going-to-the-Sun Road in Glacier National Park. 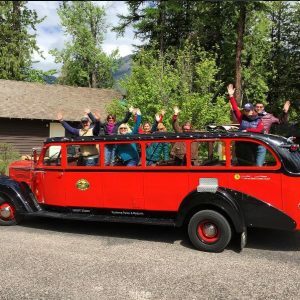 Here in Montana, we’re big proponents of utilizing the power of social media to connect with our visitors, prospective travelers and partners. We’re also using social media to connect with our business-to-business partners, specifically tour operators. 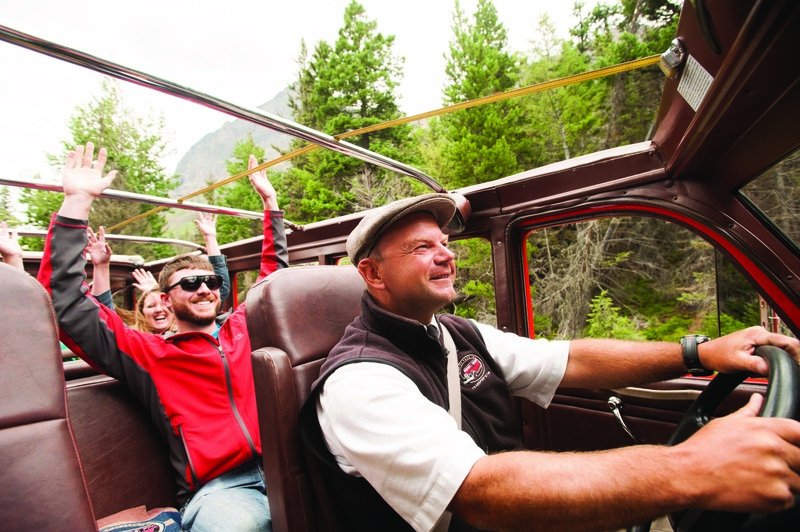 In fact, we know there’s so much merit for using social media in this way that we regularly participate in a twitter chat that’s specifically designed to connect domestic and international tour operators with suppliers in the Real America region of Montana, North Dakota, South Dakota and Wyoming: #RealAmericaChat. 1. It connects you directly with suppliers in the Real America region. There are numerous on-the-ground reps in Montana, North Dakota, South Dakota and Wyoming who want to work with you, and many of them are joining the chat. While you may see a handful of them in person once a year, the chat gives you direct access to multiple businesses across the region. 2. Participants are delivering real-time information on relevant topics. Chat topics vary each month, with topics that have been chosen specifically to arm you with the latest information on the region. Upcoming topics include winter, hidden gems, annual events and festivals, First Nations of the Real America, cowboy experiences and more. 3. It only takes one hour per month. We’re all busy, but we all have one hour each month to help grow our business. 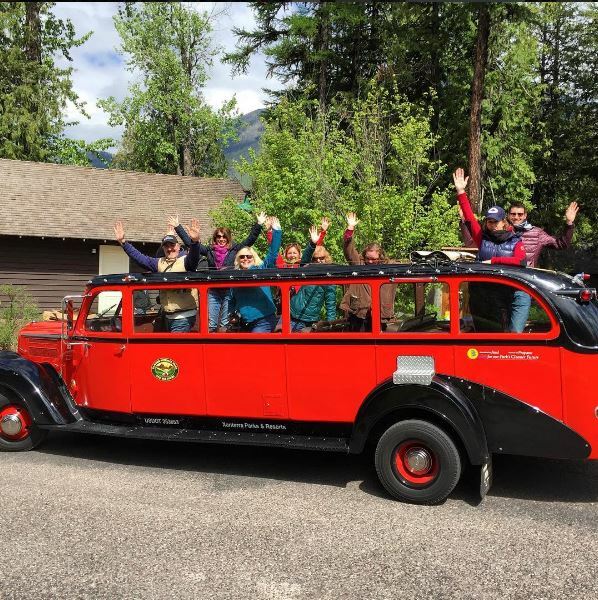 We host #RealAmericaChat on the first Wednesday of every month at 8 a.m. MST (3 p.m. BST) and we strive to stay on time and on track to deliver the most relevant information to you—our tour operators who are doing business in the region. 4. Four states, one chat. If you work with folks in Montana, North Dakota, South Dakota and Wyoming, chances are you’ve seen that the four states like each other and enjoy working together. We know that many of our international visitors want to see more than one place when they’re here and what better way to give them the best experience possible than by working with each other to create multi-state itineraries and experiences. Plus, suppliers from all four states participate in the chat and share information on their area. Instead of having to send individual emails to multiple people (sidenote: we still love and welcome email correspondence! ), the chat puts you in direct contact with suppliers from the four-state region all at once. 5. Participation in the chat will make you an expert. After each month’s chat, you’ll be armed with the latest information on the Real America region, making it easier for you to build itineraries, create custom trips for your clients and be known as the contact for planning a trip to Montana, North Dakota, South Dakota or Wyoming. 6. You get to ask questions + get real-time answers. At the end of each chat, we ask what you want to learn more about or receive additional information on, with state or regional reps following up with you on your specific area of interest. 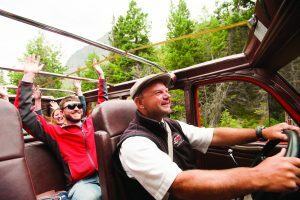 For the latest information on the chat, be sure to follow @RealAmericaChat on twitter or sign up for our tour operators newsletter here. -To join the chat, log into twitter on the first Wednesday of every month at 3 p.m. BST (8 a.m. MST) and search hashtag #RealAmericaChat. -Use tweetchat or tweetdeck to follow along during the chat, as there is sometimes a delay in the twitter browser. Sidenote: you don’t need to set up a new account to use tweetchat or tweetdeck; just login to your twitter account and then go to www.tweetchat.com or www.tweetdeck.com. Bonus: all three platforms are free. -Use #RealAmericaChat in your tweets during the chat, so everyone can see them. -If you’re using tweetdeck to join the chat, create a column for #RealAmericaChat. All of the tweets that are tagged with that hashtag will automatically populate into that column, making it even easier for you to follow along. –Say hello! Let’s say you don’t feel comfortable tweeting into the chat (especially if it’s your first time joining). Well, not a worry! Feel free to pop in and say hello and let us know who you are and where you’re from. We’re sure that before long, we’ll be twitter buddies. -Representatives from state and regional offices in Montana, North Dakota, South Dakota and Wyoming regularly join the chat. 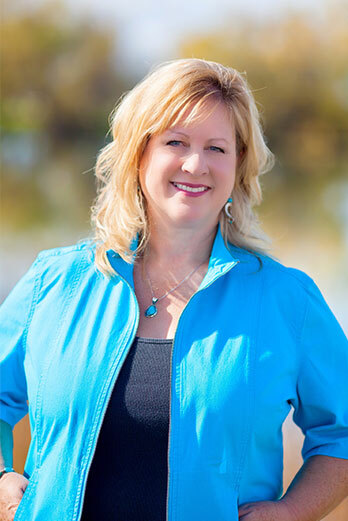 For Montana, be sure to follow Marlee Iverson, Kim Birrell and Debbie Picard. For North Dakota, follow everyone’s favorite cowboy Fred Walker and Travel North Dakota. 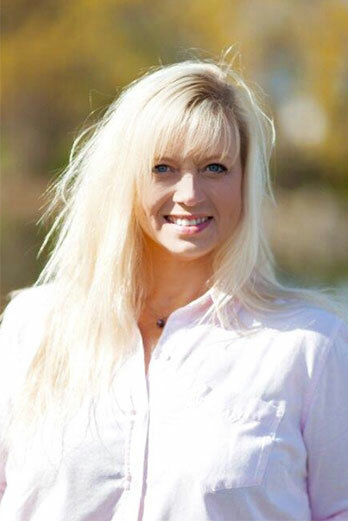 In South Dakota, say hi to Cole Irwin and South Dakota Tourism. And in Wyoming, follow the J team: James Scoon, Jenn Adu and Jenny McCullough. 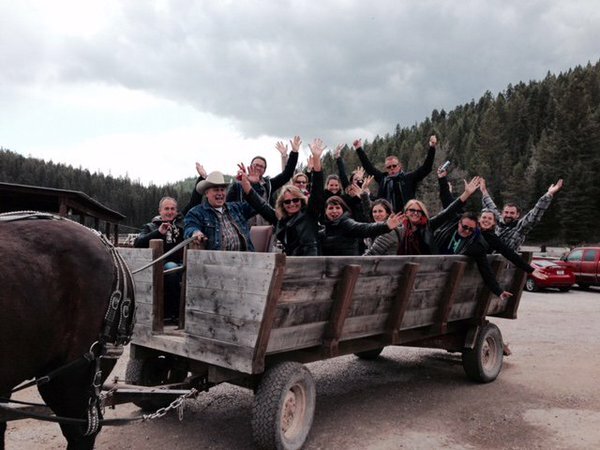 Hope to see you all at the next #RealAmericaChat! Until then, feel free to tweet me at @MontanaTia. This entry was posted in Tour Operators and tagged FIT, Group Tours, Social Media, Tour Operators on August 16, 2016 by Tia.